Willow Creek’s Dekrastone™ pavers provide a stunning, contemporary choice for your paving stone projects. A smooth, flat surface and rounded edge give Dekrastone a modern, streamlined look. At 7cm thick, these pavers are as durable as they are attractive. 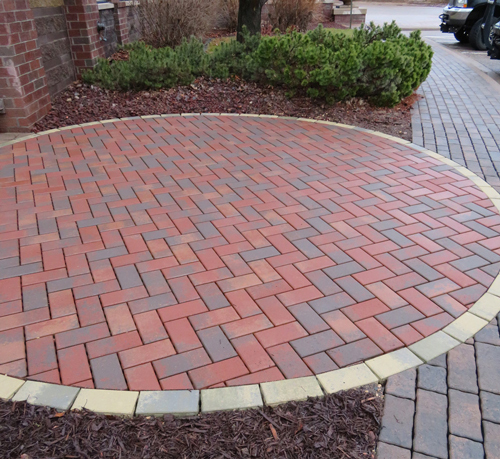 Use Dekrastone to create beautiful patios, walkways, driveways and more. Select contrasting Dekrastone colors to serve as edging in your project or to complement Willow Creek’s family of paver products including Slatestone™ and Eurostone™. Dekrastone pavers are ideal for both standard and permeable applications.